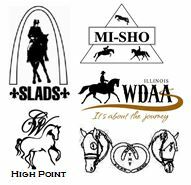 Horse Boarding Facility | Mascoutah, IL | CW Equestrian Center, Inc.
November 16, 2019 will be a Western Dressage USEF Lite Show! CW EQUESTRIAN CENTER AT THE 2018 WESTERN DRESSAGE WORLD SHOW! 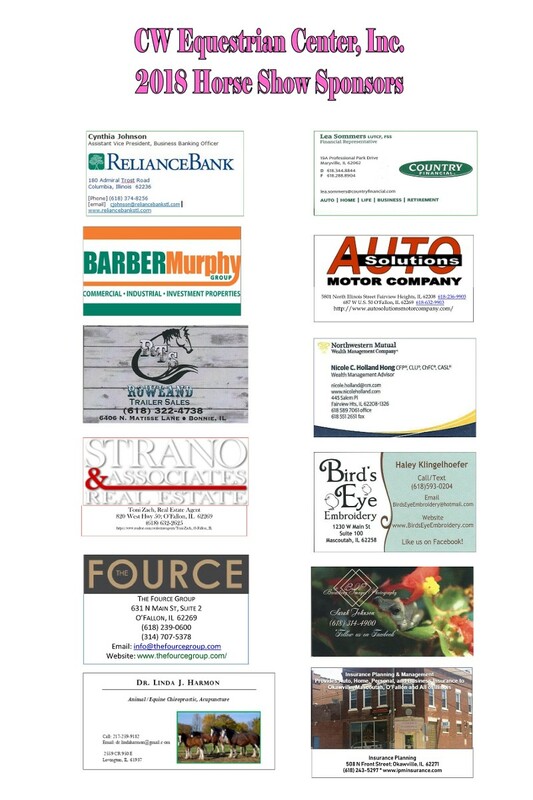 2018 CW Equestrian Center Show Sponsors! The benefit of working with horses can produce confidence, patience, a sense of accomplishment, and how to efficiently analyze as well as respond to situations for yourself in all life situations. Call (618) 960-7772 to arrange a visit to our Equestrian Center. We offer Riding Instruction and Premium, Full-Care Horse Boarding in a knowledgeable, caring environment. Contact our boarding facility in Mascoutah, IL, to board your equine! 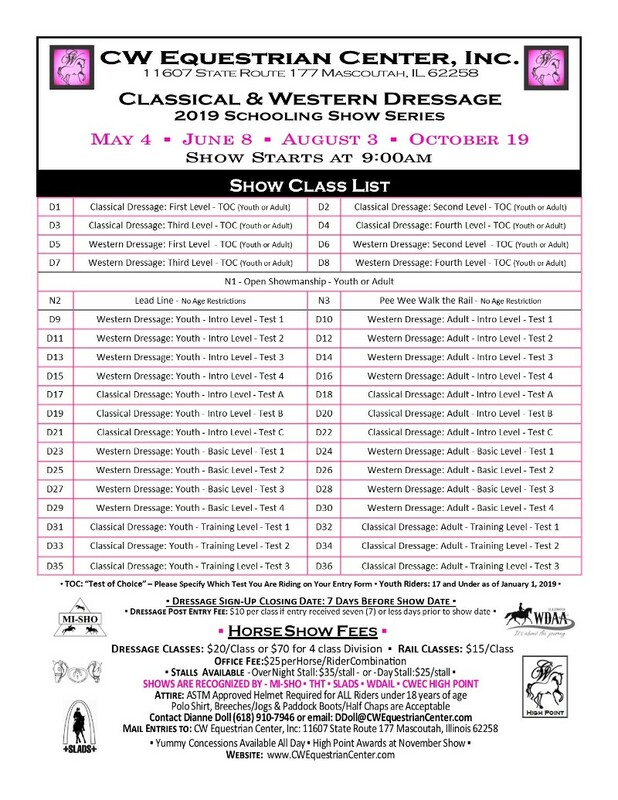 We have five Horse Shows a year that are open to the public. 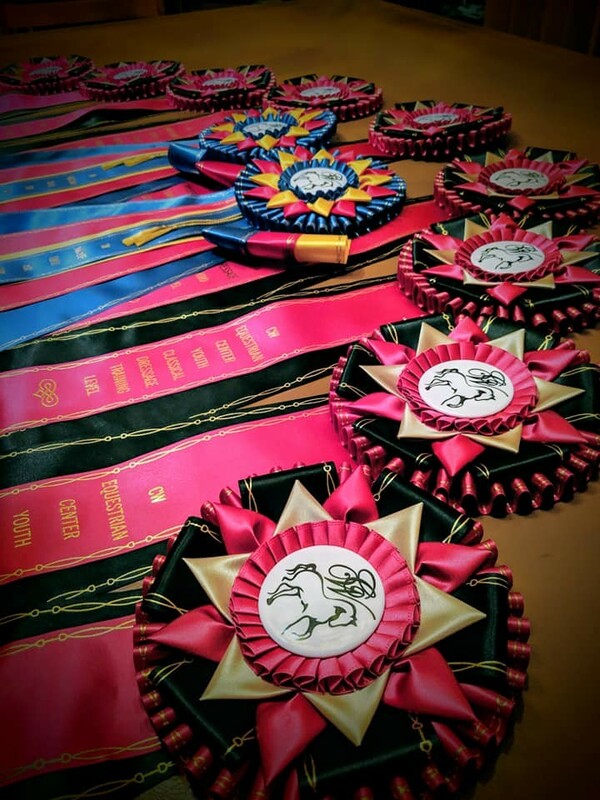 You are welcome to come to a horse show and root for your favorite horse and rider! We also host two Horse Camps in the summer! boarding in a clean, caring, family-oriented environment. Call (618) 960-7772 for a Barn Tour. Learn how to ride a horse incorporating natural horsemanship from one of the leading instructors in the area. Crystal Welsh, MS not only teaches you how to ride, but also how to care and connect with your horse for a unique, fun experience. Educated Equine Excellence! 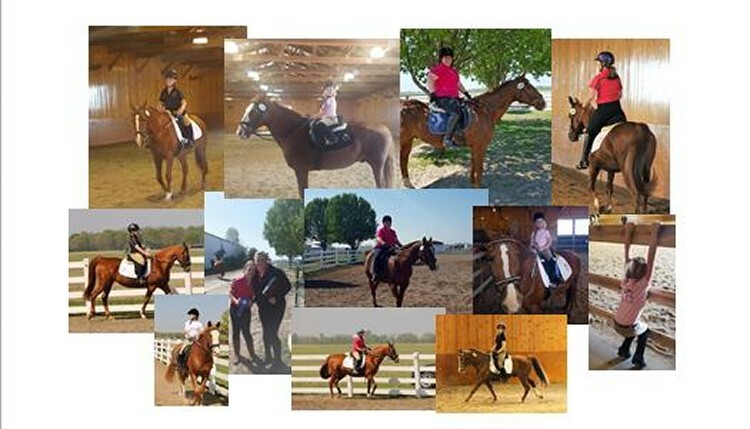 The CW Equestrian Center, Inc., of Mascoutah, Illinois, is a boarding facility that offers lessons on Classical and Western Dressage, English and Western Pleasure, Hunt Seat and natural horsemanship. Come to our premier, full-service facility for horse boarding. We offer exceptional equine education for anyone looking to learn more about horses, from taking care of them to riding them. 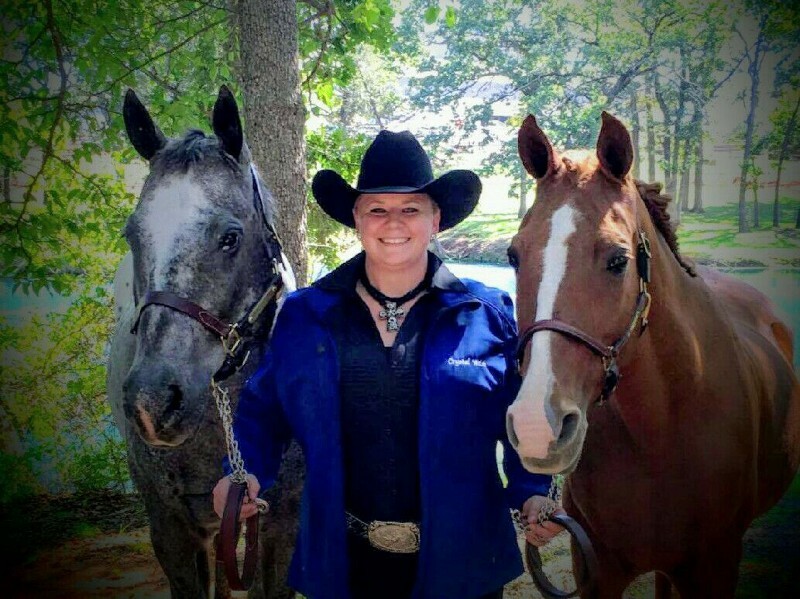 Crystal Welsh, the owner and manager, has more than 25 years of experience showing horses, as well as a Bachelor's Degree in Equine Science and a Master's degree in Equine Reproductive Physiology. She teaches you how to properly ride as well as how to develop a connection with your horse. Call (618) 960-7772 for a Barn Tour today! If you are looking for an exceptional place to board your horse or want to learn how to ride for pleasure and/or competitions, our facility is the right place for you! Come to any of our Schooling Shows to meet the CW family. Refreshments and snacks are offered. Come watch the students put their skills to the test! The Horse Shows starts at 9:00 a.m. unless otherwise stipulated. 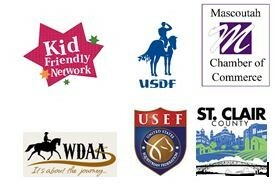 Learn More About CW Equestrian Center, Inc.
CW Equestrian Center is a top Mascoutah, IL horse boarding farm on NewHorse.com! Located Four Miles East of Hwy 4 (the Four-Way Stop) in Mascoutah. Only Three Miles from I-64.